I can't believe Ramadan will be here in one month! Time goes by so quickly! This also means that it's time to announce the fifth edition of Eid Eats! I am hosting this event with my friends Henna from Chai & Churros and Sarah from Flour & Spice. 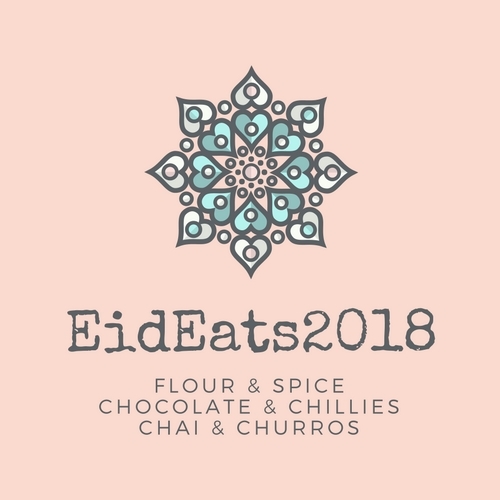 Head on over to their blogs to see what they are sharing for today's Eid Eats announcement! For those of you unfamiliar with Eid Eats, it a virtual potluck where we all share a dish that we would make on Eid. The event will be going live on June 10, 2018. Scroll down to the bottom of this post to get all the details! 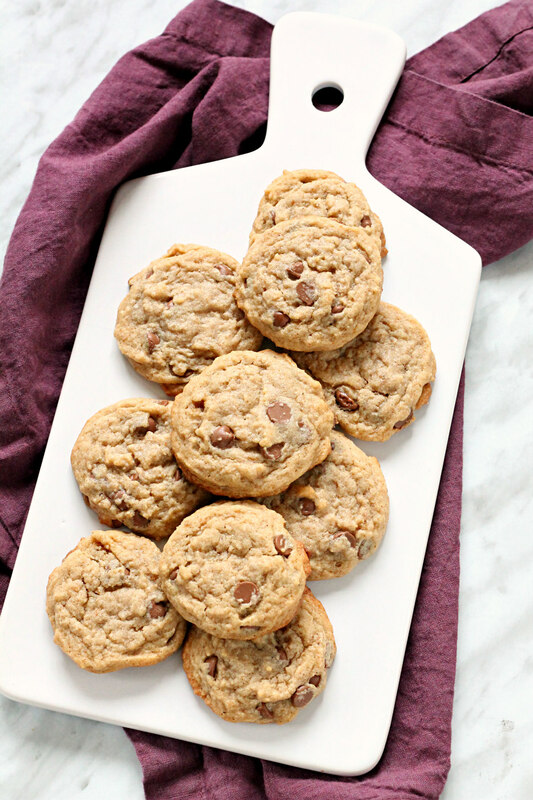 To start things off, today I'm sharing some delicious Hazelnut Butter Chocolate Chip Cookies that are some of the best cookies I've ever had! The recipe for these cookies are from Henna's blog. She originally made them with Almond Butter. I had Hazelnut Butter in the fridge and was thinking maybe they may have a Nutella flavour to them. They didn't quite taste like Nutella but they were amazing! I made half the recipe below and they were gone in no time! My boys couldn't stop raving about them. You could use whatever nut butter you have on hand for these and I'm sure they would turn out great! In the bowl of an electric mixer fitted with the paddle attachment, add the butter and beat on medium speed until light and fluffy. Add the brown sugar and hazelnut butter to the mixer. Beat until combined. Scrape the bowl down, if necessary. Add the eggs on at a time, scraping the bowl down if needed. Add the vanilla and combine. Reduce the speed to low. Add the flour mixture and mix until just combined. Drop heaping tablespoon (I used a medium sized cookie scoop) of the dough on to the prepared baking sheets. Leave about 2 inches between the cookies. I used my cookie scoop to do this. Bake until the edges start to brown, about 8-10 minutes. Let cool on baking sheet for 5 minutes before transferring to a cooling rack. 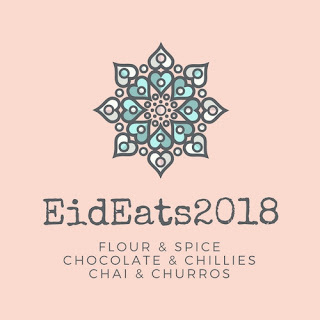 Now for the details on how to participate in Eid Eats 2018! Prepare a dish that you would normally make on Eid. This must be a NEW recipe. Write up a blog post and post on June 10, 2018. Be sure to include the hashtag #EidEats2018 in your post and when sharing on social media! Link your post to Flour & Spice, Chai & Churros and Chocolate & Chillies. Make sure to add the button above to your post. On June 10, 2018, visit one of our blogs to add your post to the link up. The link up will be open until June 17, 2018. We hope you will join us in our Eid Party! Let me know in the comments if you would like to participate!